Ms. Melody Buehrer leads the worship at the Chapel in our 8:30 am service each week, along with the able assistance of her family members. She, and her husband, Dan, along with their six (6) children open each worship service with song, and often provide special music for our services. In addition, Dan & Melody and the kids are known in the community at large as “The Buehrer Family Singers” and are available for special concerts and worship services throughout the year. 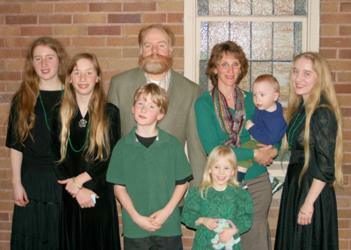 A CD of music created by Elyse Buehrer, Dan & Melody’s oldest daughter, is available here on our web site. To contact Dan & Melody to schedule them for a special event or service, please call: 260-495-0010.